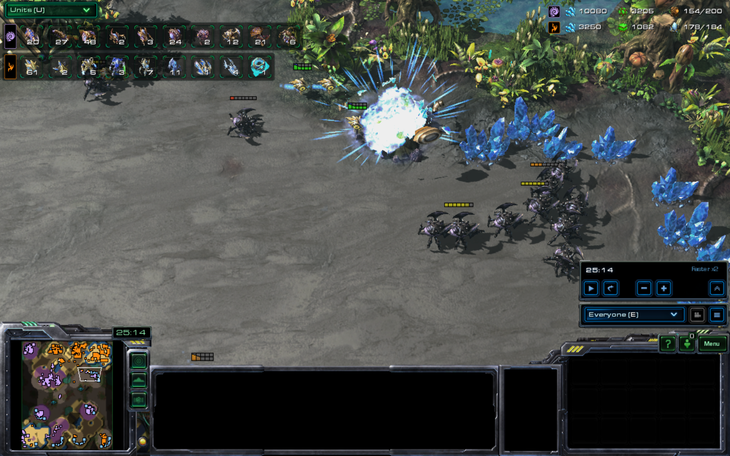 In Game 2, The_Templar rolled a favorite matchup of his in ZvP. 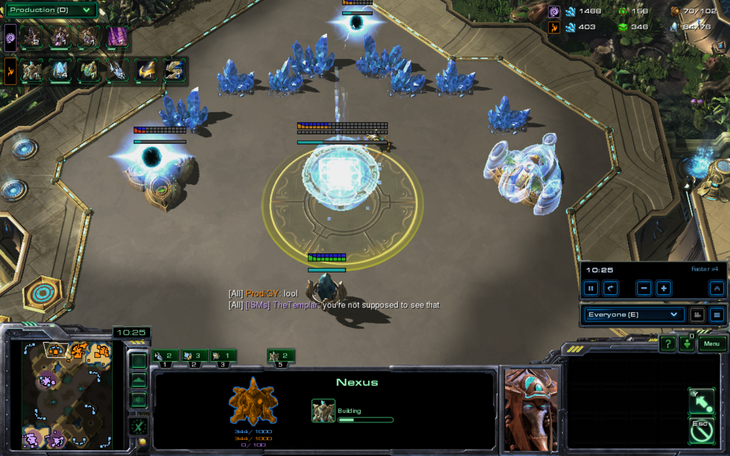 However, GumBa showed that he actually knew how to play protoss and the match would go on. 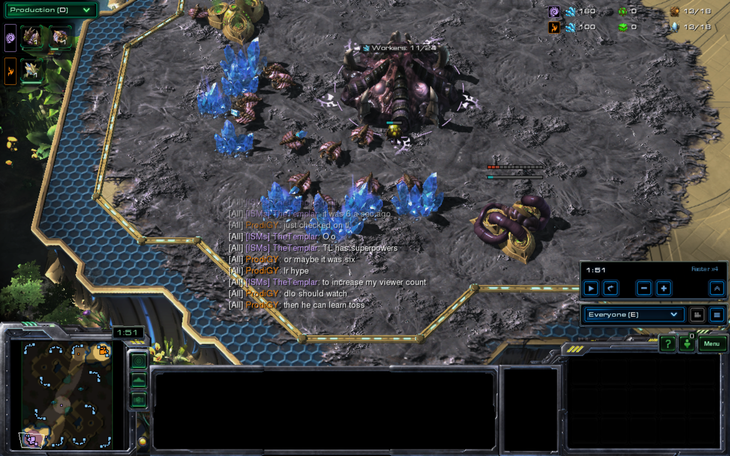 The_Templar opened up with a 6 pause in order to see how many viewers he had on twitch and reported that he had 6. 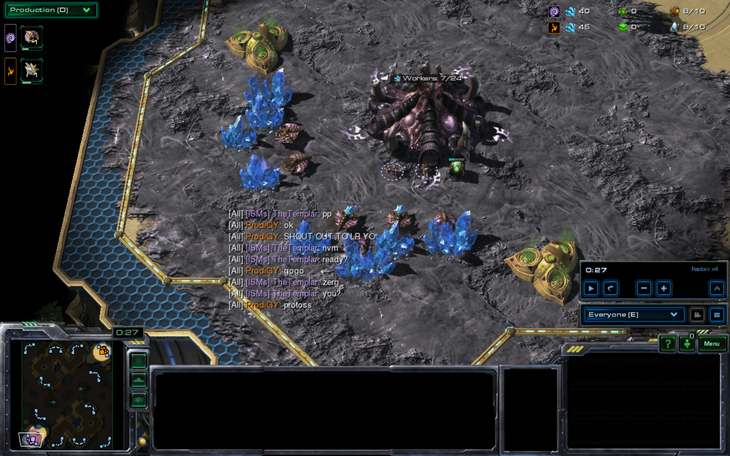 GumBa pointed out that he had 8 and The_Templar agreed. Then GumBa lit the DarkLordOlli beacon and proclaimed "LR hype" to signify the fact that this was totally an official show match. Of course, we all know that The_Templar always loses to people that know what they're doing in tournament games… in the LRSL he lost 0-3 to the Masters player Undead1993 before losing in the group stages to Jer99 0-2 and chipmonklord17 0-2. 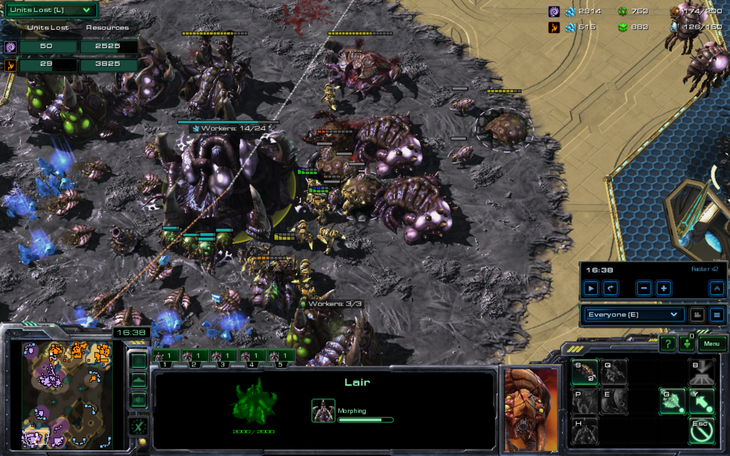 While he did beat Die4Ever 2-0, that was because Die4Ever had to install SC2 before he could play. Nothing has actually happened in the game though. I was just rambling. A 14 gas from The_Templar foreshadows the cheese coming this way. 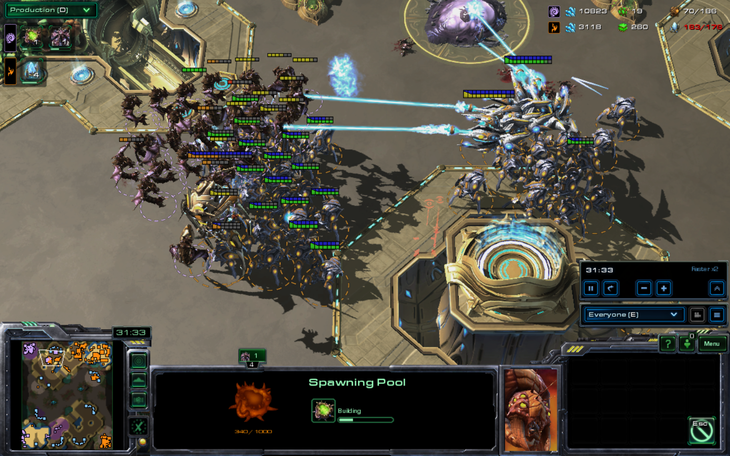 Actually, he just opens 14 gas 14 pool in every matchup, even ZvT. 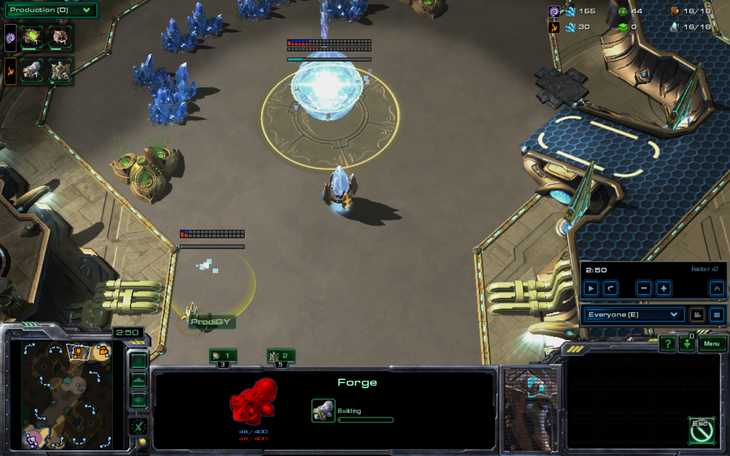 In response to the early gas from The_Templar, GumBa made a forge after going nexus first. 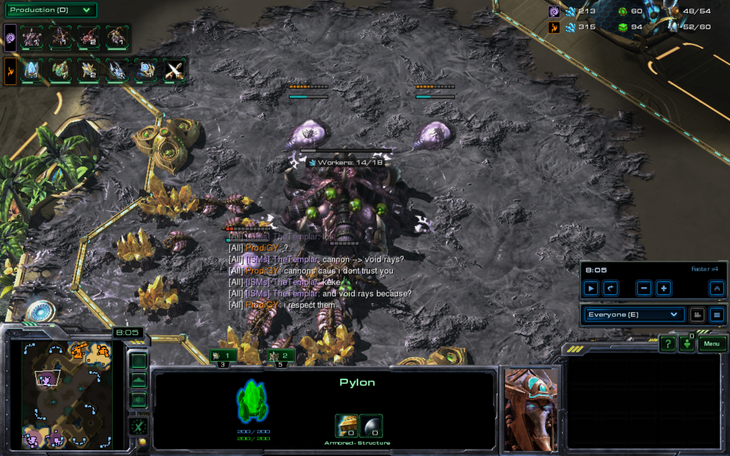 He also pylon blocked The_Templar, a move designed to make him tilt (it worked). 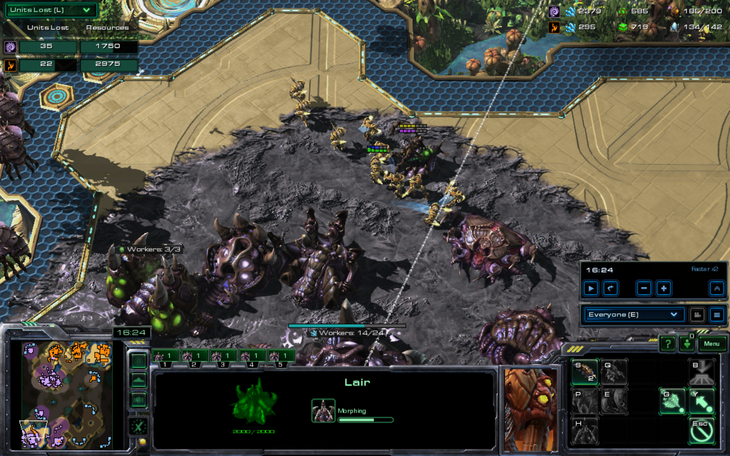 The_Templar was about to finish a couple of zerglings, though. In response, The_Templar showed the viewers why he had picked overgrowth. It was definitely not because it's a good SH map. The_Templar also took his natural, in case GumBa scouted. This way, GumBa would never think of scouting his own gold base. Or GumBa will just sit in his base. 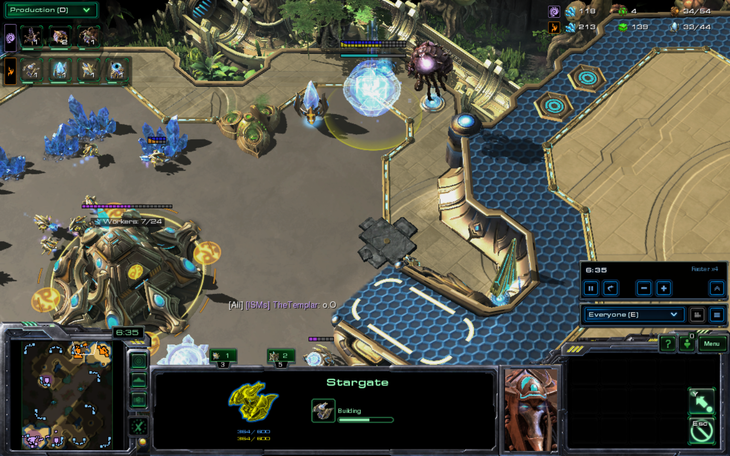 Meanwhile, GumBa was adding on some buildings: cannons and stargates. 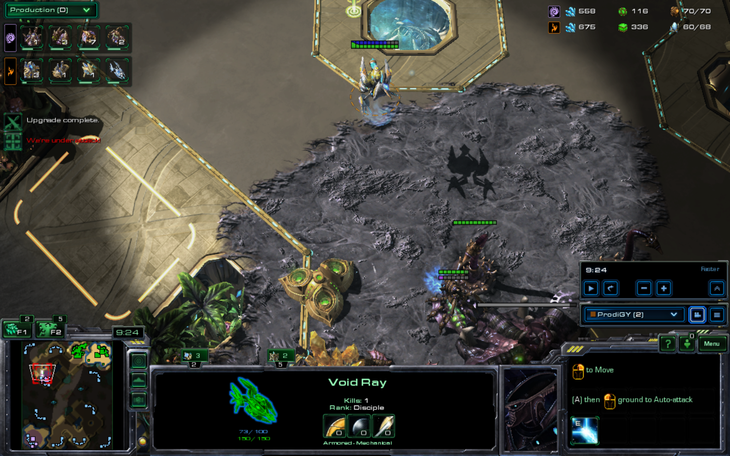 For some reason, The_Templar tried to guess GumBa's strategy as being void rays. 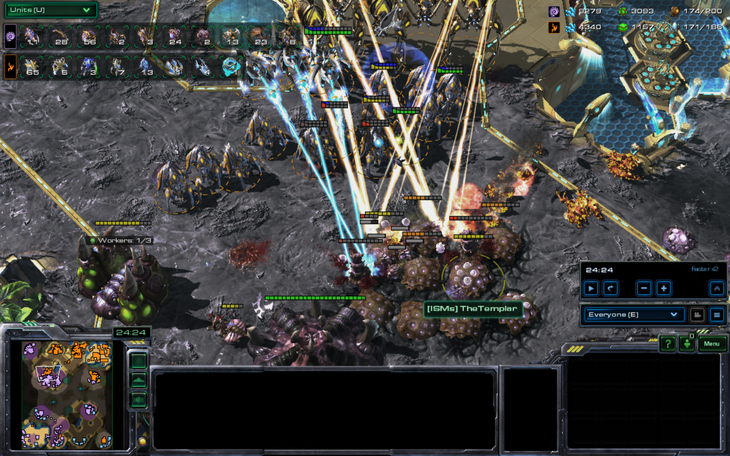 It's almost as if people in lower leagues sometimes turtle with cannons to get mass void rays. This is all banter to make sure GumBa doesn't scout. 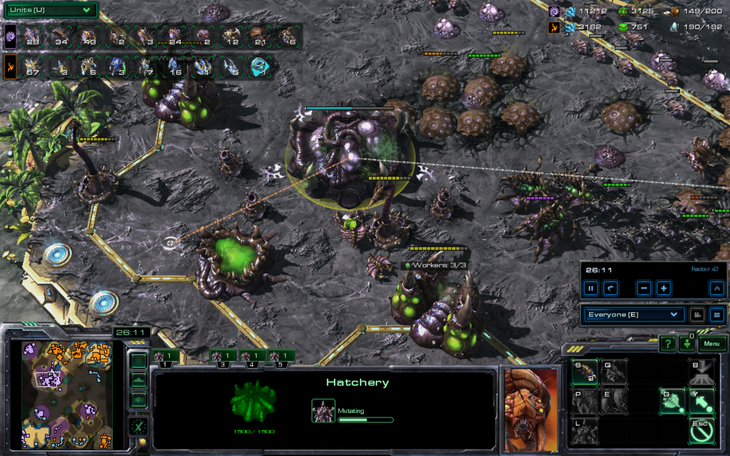 Drones were transferred to this base. 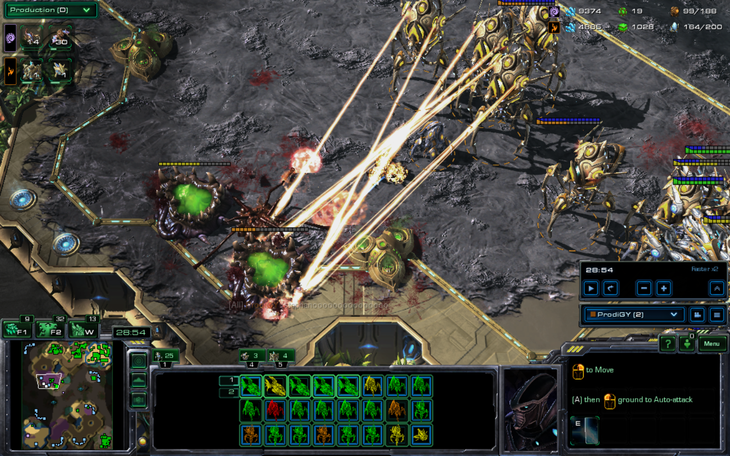 Clearly, The_Templar respected void rays too, because he immediately threw down a hydralisk den. GumBa decided it was a good idea to send a void ray to The_Templar's main. However, it would never get there. Respect the void ray's scouting abilities! 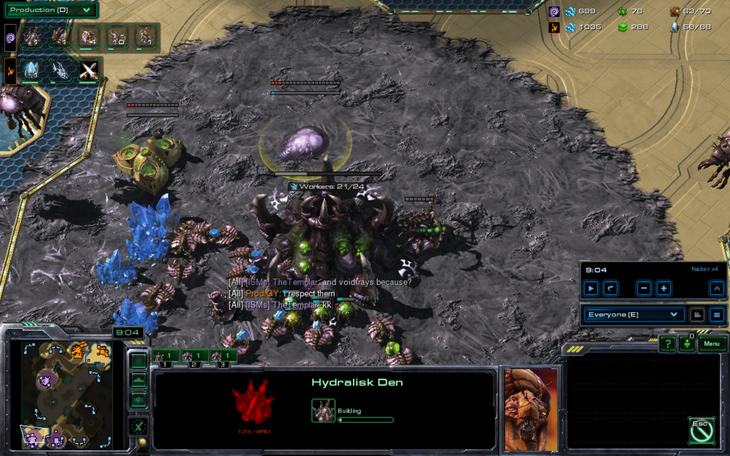 GumBa decided to secure his third in response to the proxy gold base. However, The_Templar had a few more surprises lurking. 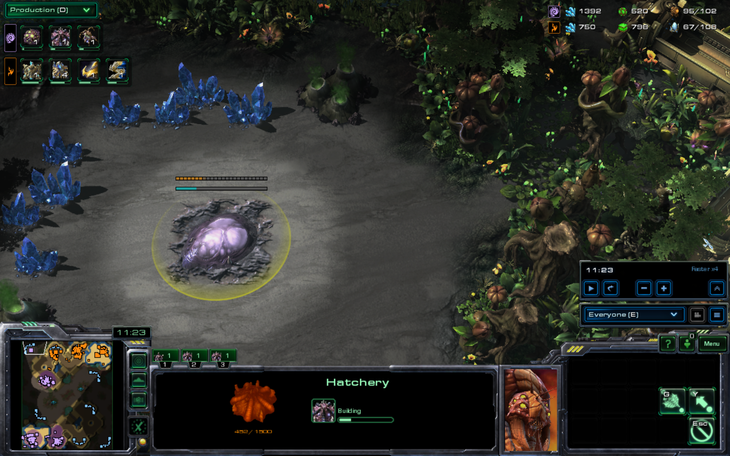 Considering this is a proxy hatchery, there has to be a hidden base somewhere. Next came the passion hosts! 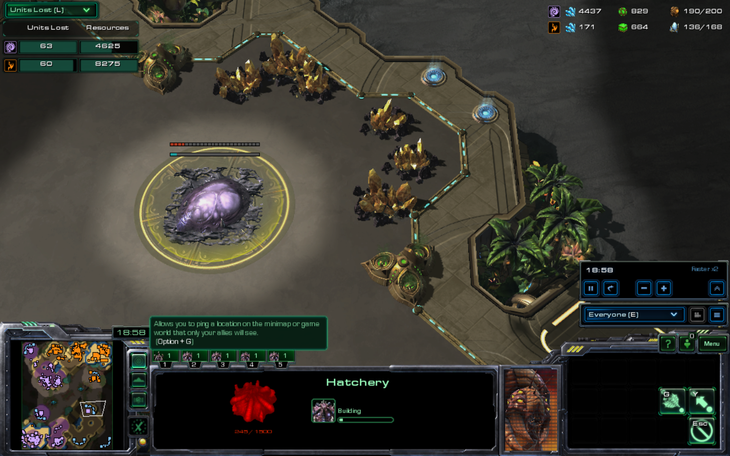 The_Templar brought this showmatch to a new level with this unusual strategy. However, GumBa, as if he knew about this Cashhost composition, immediately researched psionic storm. 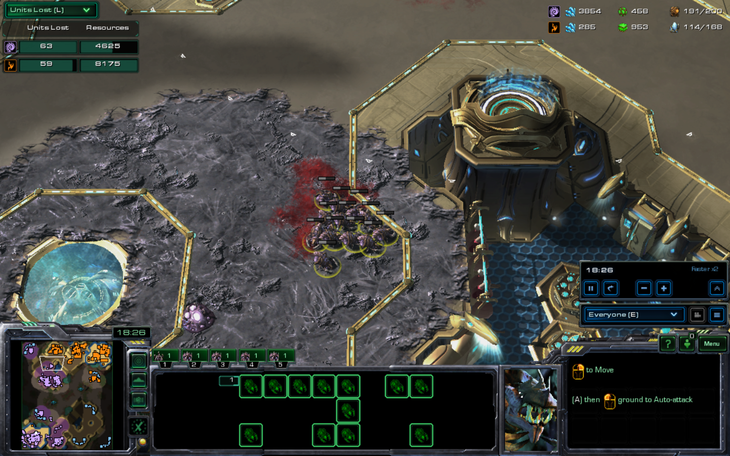 The_Templar continues his very odd strategy of taking random bases by taking the lower center base. I don't like top vs bottom, so I will make it left vs right. The_Templar could no longer contain his passion, and he released it on GumBa. 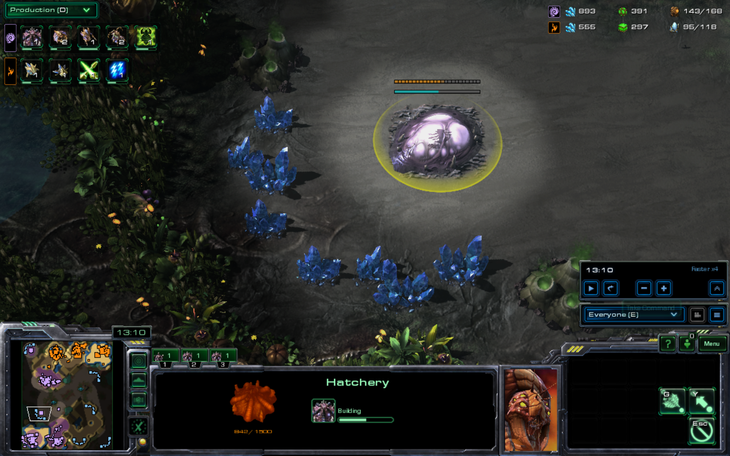 While he destroys GumBa's ground army, he gets a hive. However, GumBa has the ability to create armies in The_Templar's base, and The_Templar is forced to keep swarmhosts at home to defend. He forgets about these for a while. They are the lifeblood of this base now. GumBa takes the "safer" 4th instead of trying to take his normal fourth base. 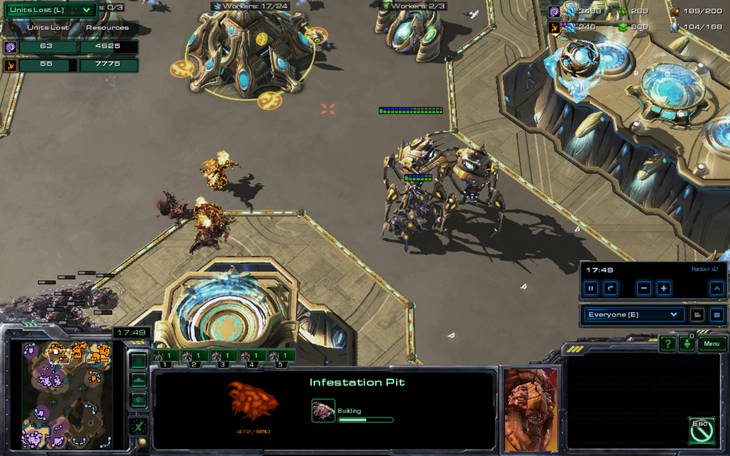 The_Templar keeps forgetting to send his locusts into the opponent's base and GumBa manages to get two colossi out, which helps him greatly. 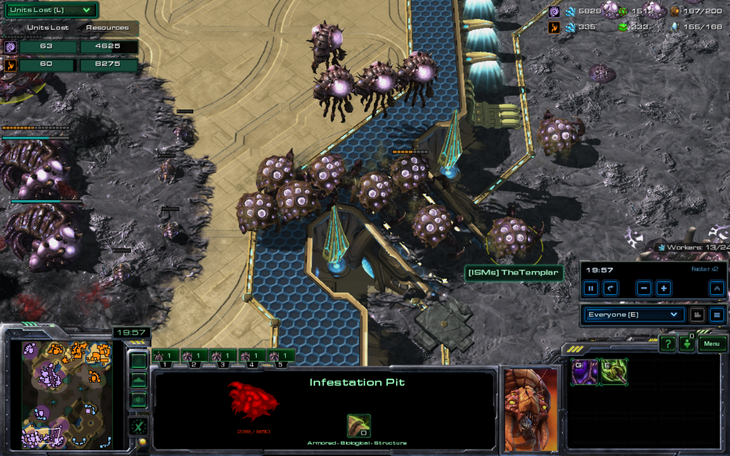 Meanwhile, The_Templar continues to take the whole map, and since he feels pretty confident at this point, he moves the swarmhosts out of his main base. The_Templar gets some vipers out and, after killing two colossi using abducts, goes in for a large battle. 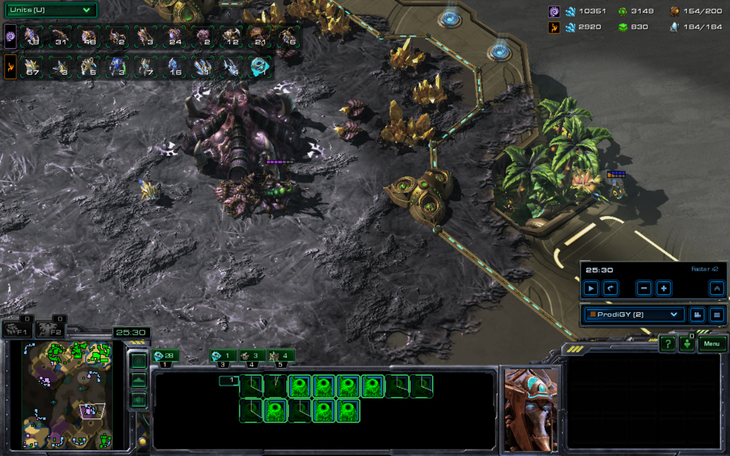 This doesn't work out very well because his micro is terrible. 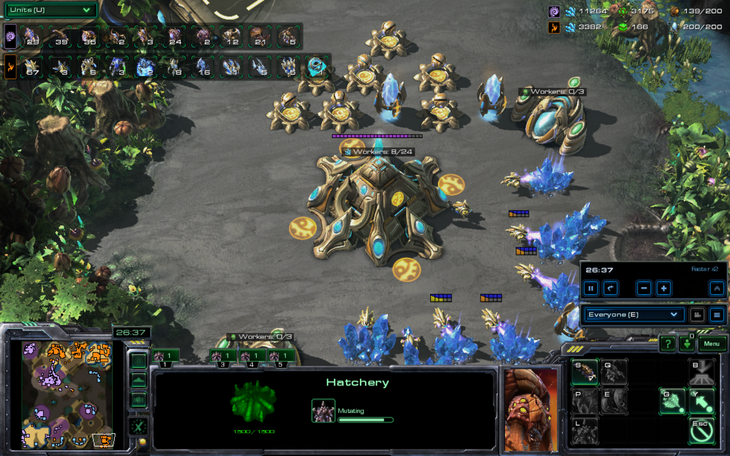 Also, he sat on a maxed army for about 5 minutes while banking a ton of money. GumBa retreated after losing his observer to a spore crawler. GumBa suddenly realizes that the point of this game is to take bases at seemingly random locations and takes The_Templar's fourth. 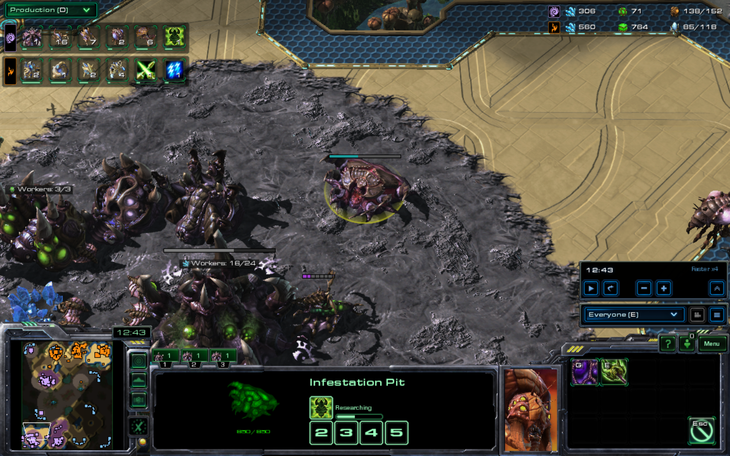 He pushes forwards again, with two observers, but loses his observers to the same spore crawler. 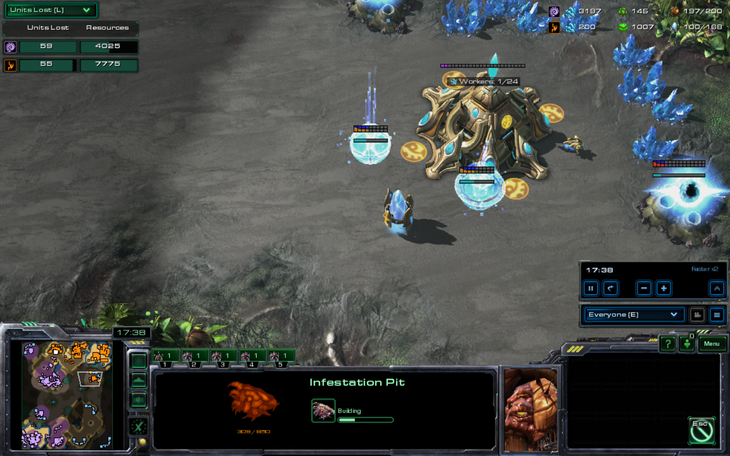 He still manages to kill some of the swarm hosts with splash damage, though. 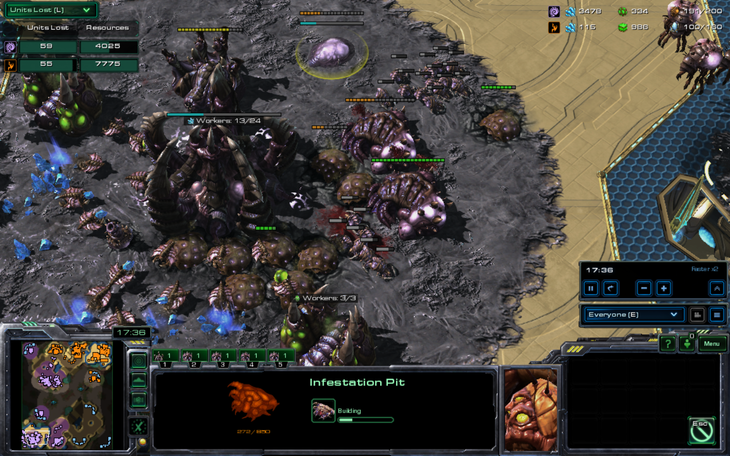 Meanwhile, The_Templar cleaned up his 4th base with some roaches. 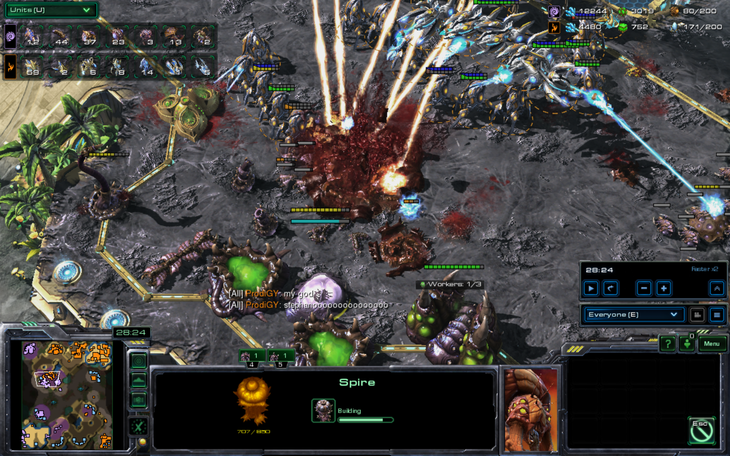 GumBa's probe gatecrashes a drone party at the other gold base. 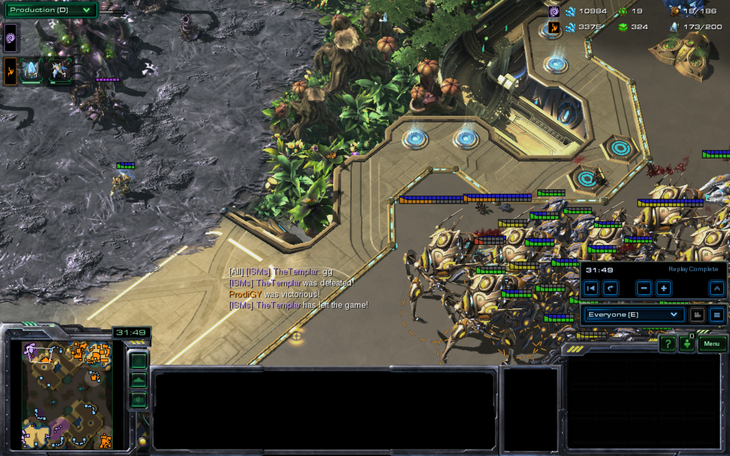 Oh, by the way, DTs and Zealots killed everything in The_Templar's main and natural. Did I mention that? I hadn't noticed either. 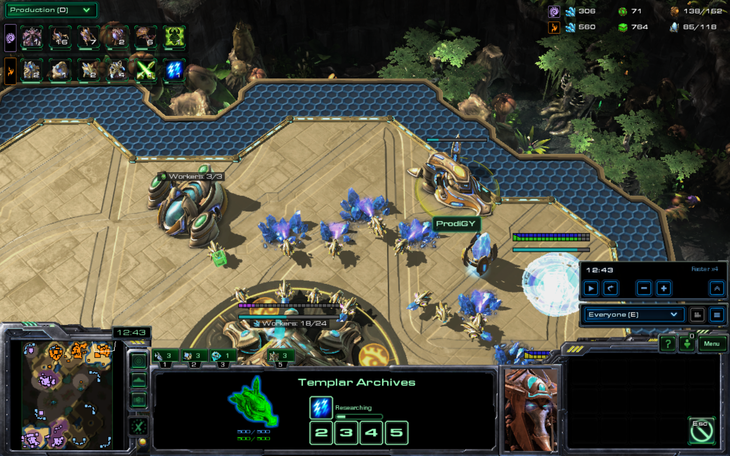 The_Templar starts rebuilding his tech at GumBa's gold base. 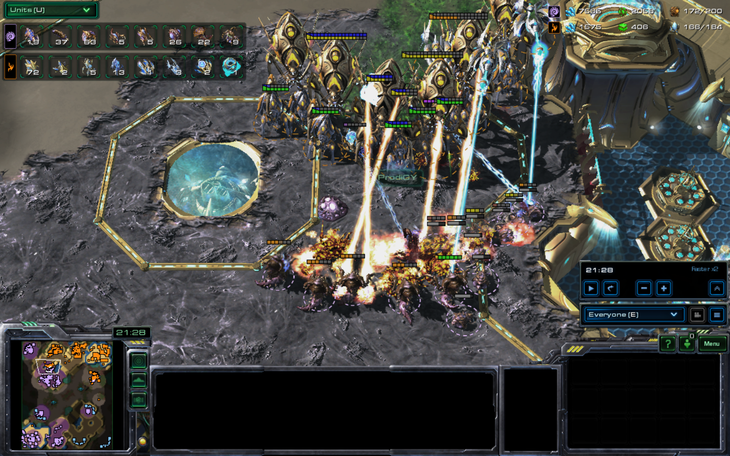 Drones are chased away from the other gold by DTs. "Can't I have a few more minerals?" "No, you've definitely had enough minerals to eat." Look at that bank. GumBa still has mining at The_Templar's fourth base. 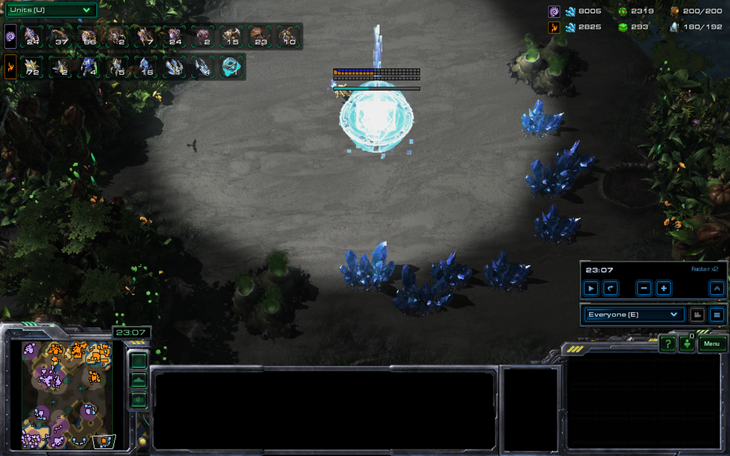 This is the one game in the history of sc2 where both players took the other's fourth and mined off it for a long time. GumBa goes for another attack, while The_Templar is trying to transition into mutalisks. Unfortunately, the mutalisks are not enough to kill GumBa's stalker ball. Here, The_Templar showed fairly good early and mid game, but fell down when he needed to close the game out, allowing GumBa to catch up and destroy him. 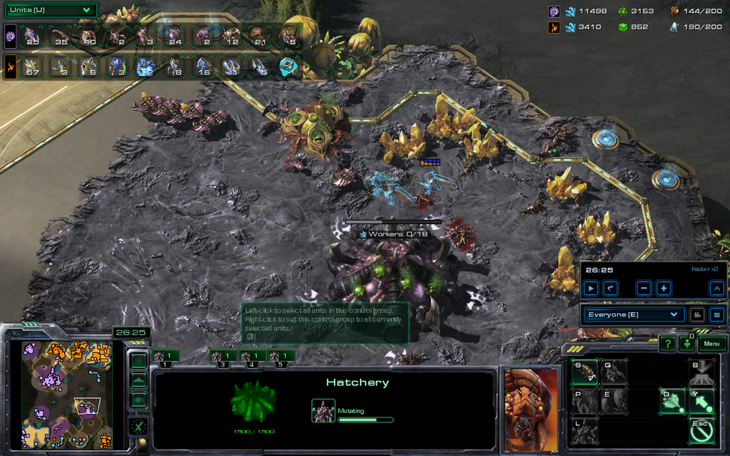 GumBa showed the ability to make the correct army composition, as he abandoned HT early in order to turtle to the correct colossus tech. 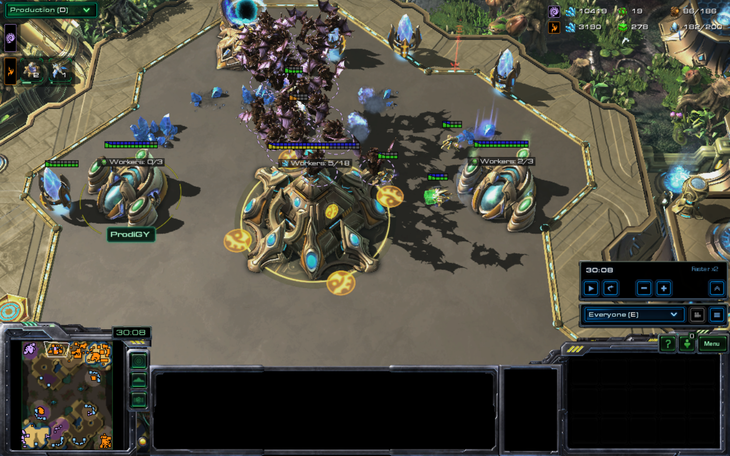 If The_Templar can't win with all-ins, and he can't win with macro, how is he supposed to win? This isn't the longest game. Did you see the whole series or just the end? You need more Starbuck passion. You didn't see the steppes of war game then? 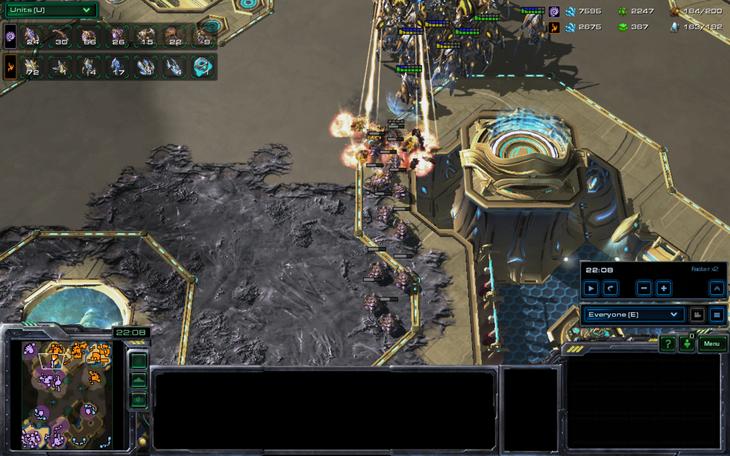 I should main protoss I am that good. I love the double pool so you can get adrenal glands and metabolic boost at the same time. This game hahaha. The thing is I think you could have won if you had simply been more aggressive with the #passionhosts. For a while there Gumba didn't have an army that could have stopped the locust waves. :D Fun game, can't wait to see what happens next. 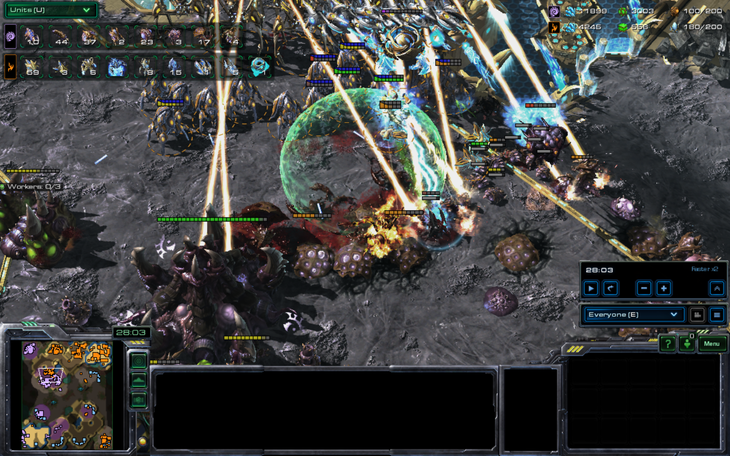 Probably, but the thing about my ZvP is that I get tunnel vision or I lose focus really easily. Game 3 will probably be put up later tonight because I'm trying to work on my paper.